Not really. This is a silly post. 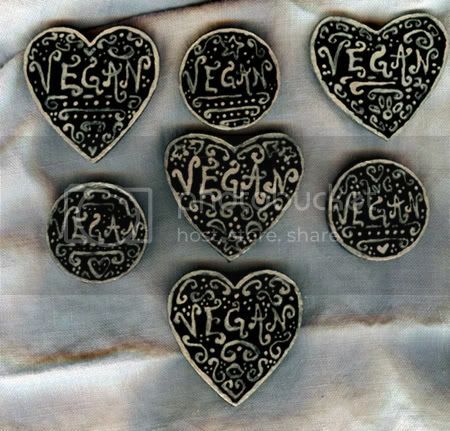 I painted these pins in black and silver–they look all abstract, but then you look up close and they say vegan. Seemed like a decorative thing. Oh how beautiful! I looked at the pins before I read your text, and indeed, it took me a moment to see the word “vegan.” I wish I could make something as pretty!